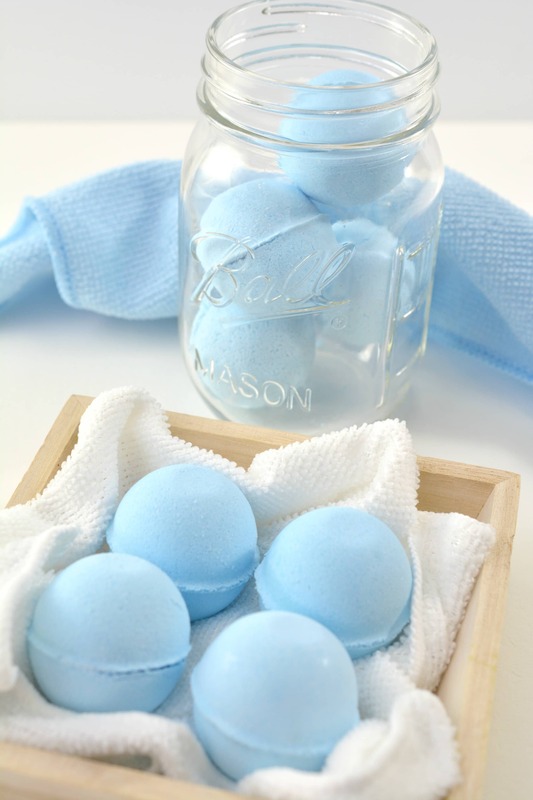 Easy DIY recipe for homemade toilet bowl cleaner tablets using safe, natural ingredients. Who loves cleaning the toilet bowl? I’m guessing not too many of you are raising your hands…… So I’m happy to share these super easy homemade toilet bowl cleaner tablets that you just drop in the toilet for natural cleaning. These easy toilet bowl cleaners give you hands-free cleaning with safe, natural ingredients! 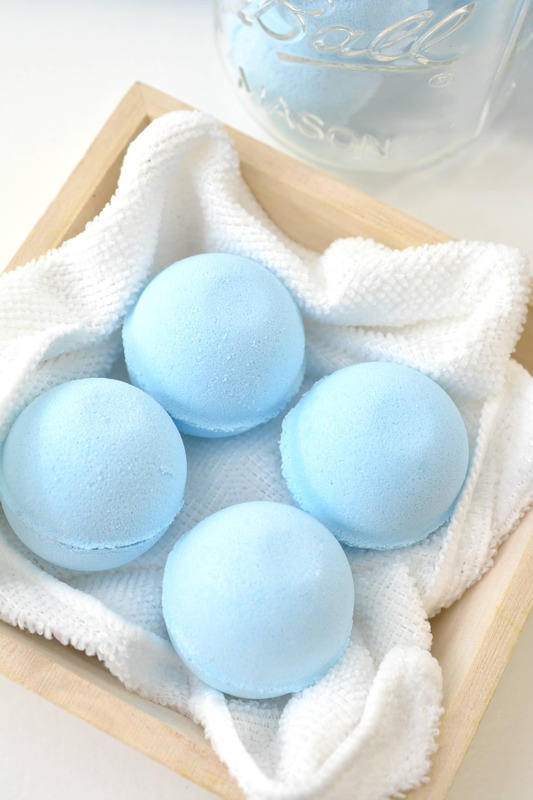 How could you NOT want to try these DIY toilet bowl cleaner tablets? Some people call these fizzy toilet bombs. 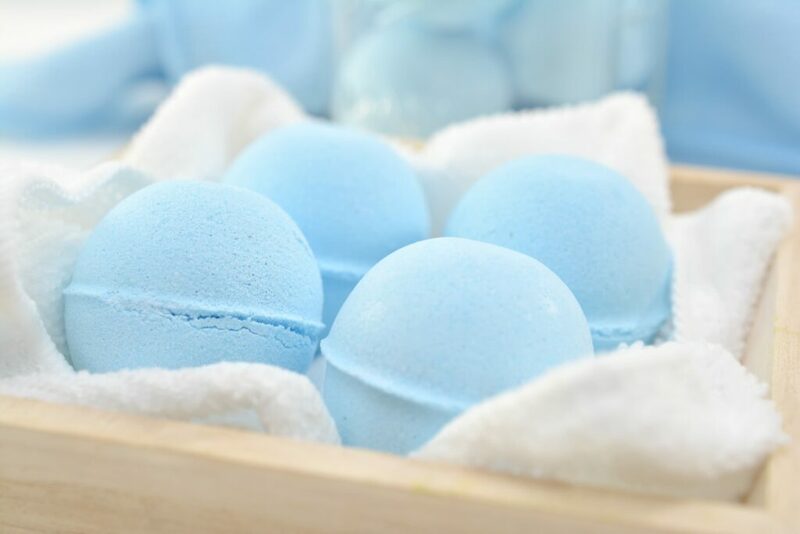 They do look like bath bombs. But I like to use the term toilet bowl cleaner tablets, even though these are round. Both terms are used for the same natural cleaning products. 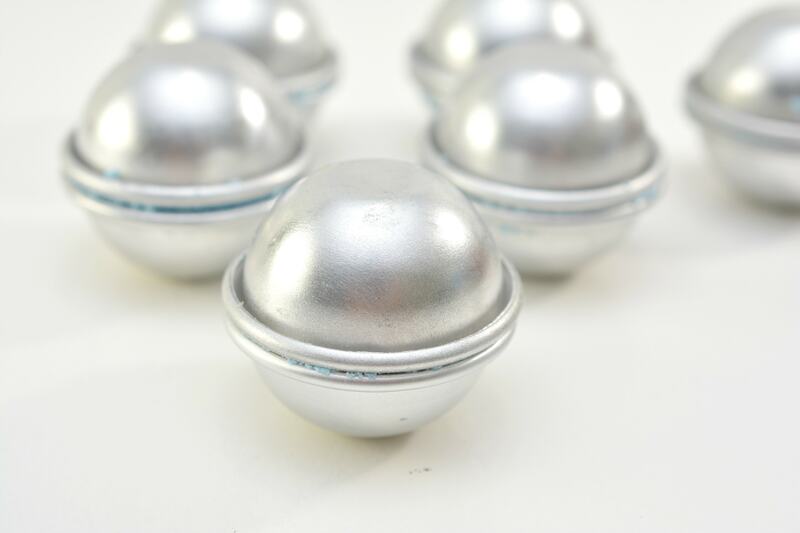 Most toilet bowl cleaners are full of toxic chemicals and ingredients that aren’t safe. But you DON’T need chemicals to effectively clean your toilets. In fact, you can use vinegar to clean a toilet bowl very well. But if you want a more hands-off cleaning routine (and who doesn’t? ), these fizzy toilet bowl cleaner tablets are a beautiful and easy way to clean the toilet. There are many different ways to customize your homemade toilet bowl cleaner tablets. 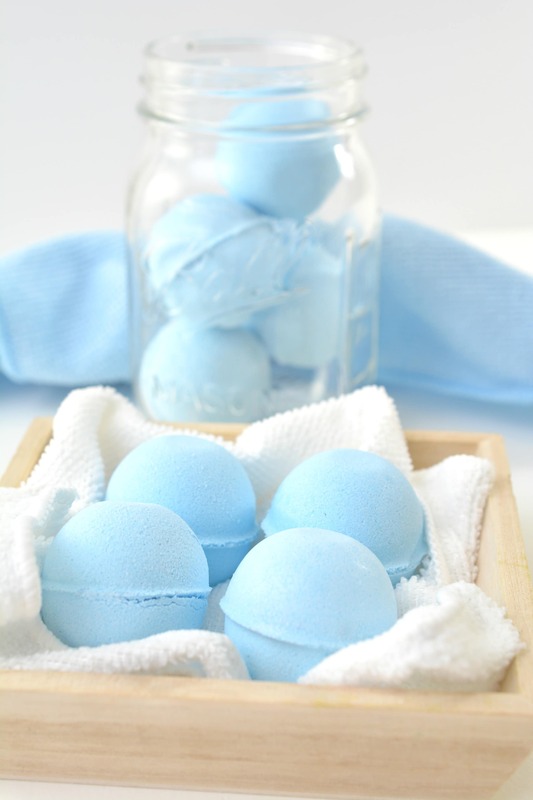 While the basic ingredients are the same, you can customize these toilet bowl fizzies with your choice of colors and scents. When my nephew was potty training, I was helping him in the bathroom at home. He started getting upset that the toilet bowl water wasn’t blue. I had an idea that he had been in a store with those automatic toilet bowl cleaners that make the toilet water bright blue with each flush. He wanted to make the water in the toilet turn blue. But there was no way I would allow a chemical-laden cleaner into the bathroom. 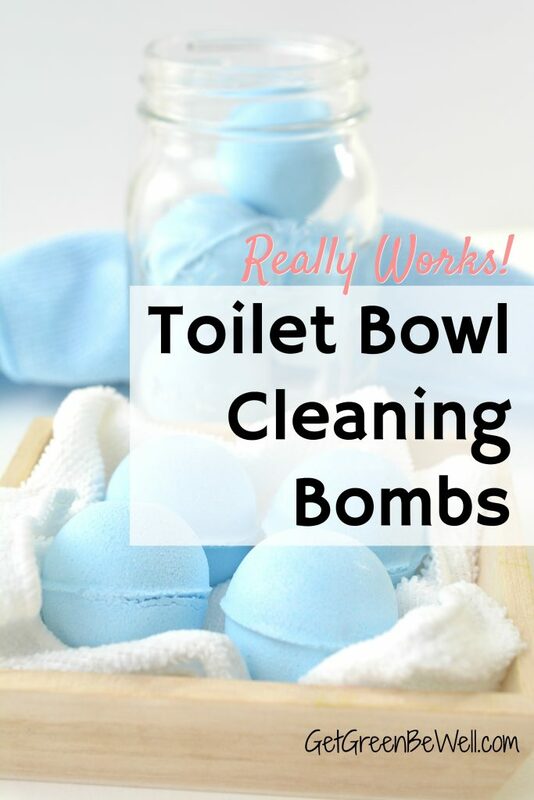 Which is why these blue toilet bowl bombs work great! They turn the water the same color blue, but without any of the chemicals! 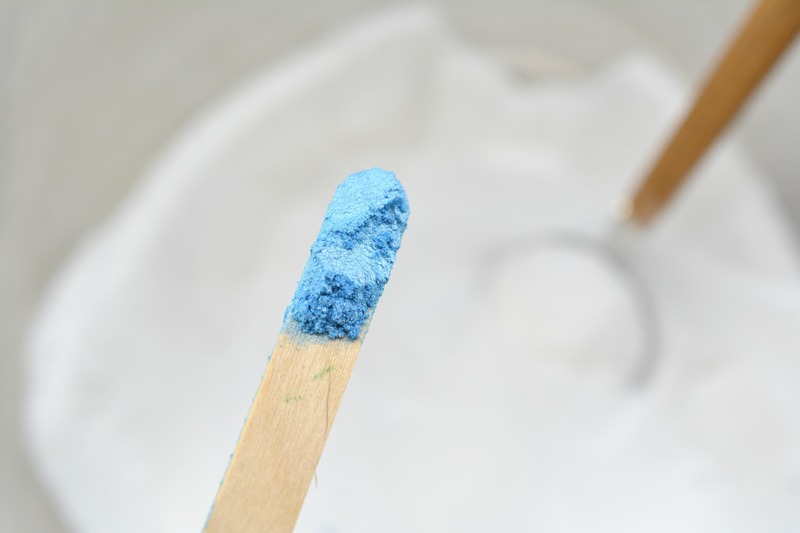 You can use natural mica colors (check out this multi-pack of rainbow colors) to make beautiful toilet cleaner tablets. Or leave them white. It’s really up to you. Some people like to store these on a countertop, so you’d want to have a color that blends with your decor. But if you store your homemade toilet cleaner tablets in a closet or under the sink, you might not want to invest money in natural coloring. That’s fine. The coloring adds nothing to the cleaning abilities of the rest of the toilet cleaner fizzies ingredients. 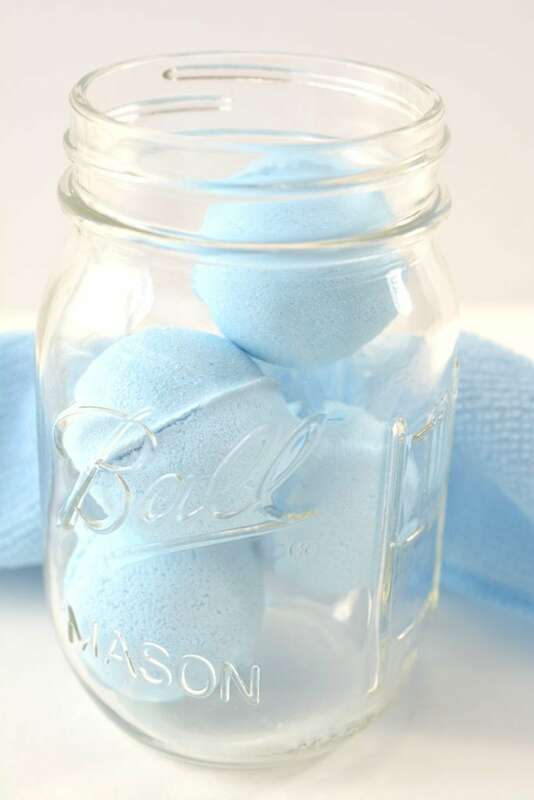 Everyone likes a different fragrance in their cleaning products. Or maybe no fragrance at all. That’s the beauty of making your own green cleaners. You can choose a scent that you like without having to settle for something a company is selling you. Why Do These Toilet Bowl Cleaners Fizz? Not only is it fun to watch these toilet bowl cleaners fizz (am I the only one that thinks it’s interesting? ), but that fizzing action is what cleans your toilet bowl. When citric acid and baking soda react with water, the ingredients start to bubble and fizz. They’re all completely natural ingredients, but it’s the process of combining them that makes the fizzing action. And that fizzing action works to clean the toilet bowl from germs and debris. Do I Need to Use a Toilet Brush Too? These homemade natural toilet bowl cleaner tablets are easy to use because you just drop them in! That’s it! Which is why people that don’t enjoy cleaning (like me) love these natural options. However, it doesn’t mean that you can throw out your toilet brush just yet! When you first start using these fizzy toilet bowl cleaner tablets, you might want to give your toilet bowl a good scrub after they fizz in the water for a few minutes. That’s just to get off dirt and debris. You’ll want to start with a clean toilet bowl before starting this natural cleaning routine. After you’ve scrubbed your toilet bowl (just dip the toilet brush in the fizzy water and scrub the bowl), you can take a break from scrubbing your toilet. Use a fizzy toilet cleaner tablet every 10 flushes or so (depending on how nasty your toilet situation might be in-between). Every now and then, you might want to pick up that toilet brush and give your toilet bowl a quick scrub. Here’s the instructions on how to make safe, homemade toilet bowl cleaner tablets using natural ingredients. 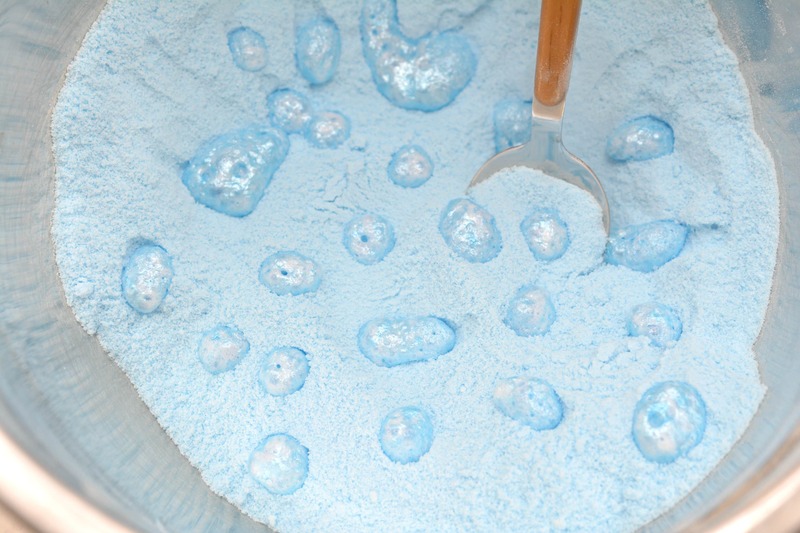 Pour 1 cup of baking soda into a mixing bowl. Add in ½ cup of citric acid. In a separate small bowl or cup, mix together ½ teaspoon of vinegar and 1 tablespoon of hydrogen peroxide, and set it aside. 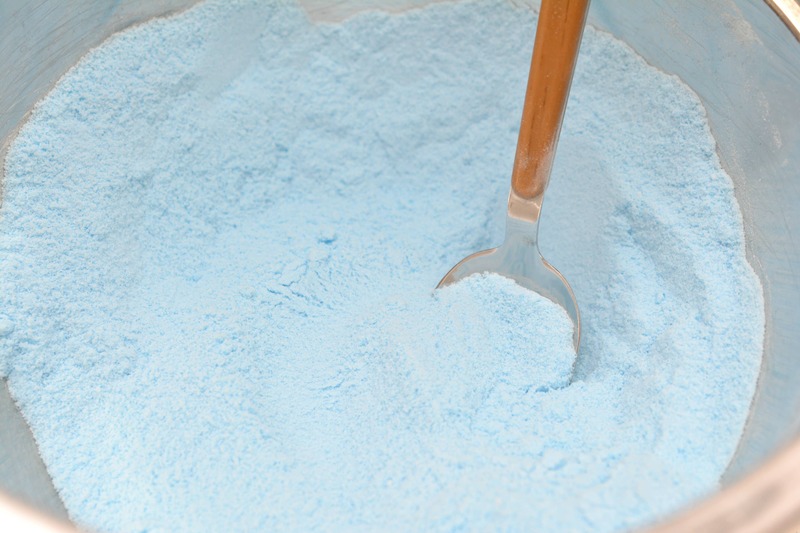 To the mixing bowl, add in a few scoops of blue mica natural mineral powder to color your mixture if desired. 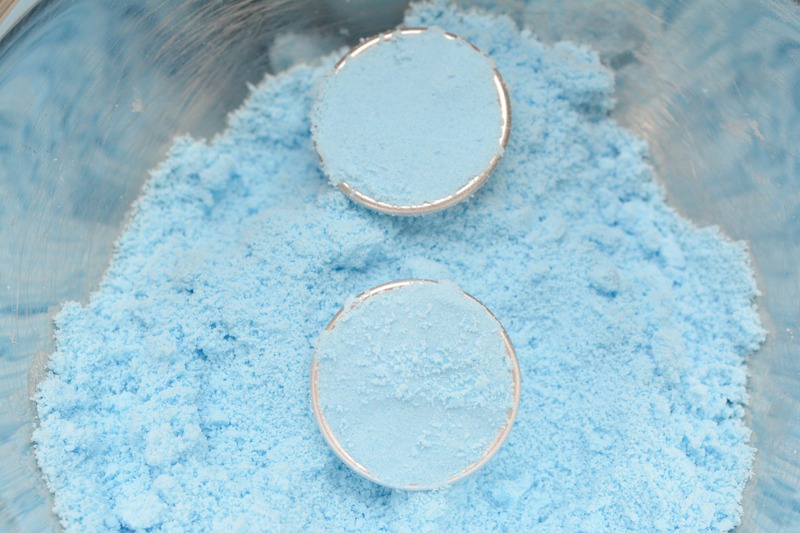 These are all natural mineral powders made to color bath bombs. Mix thoroughly with a spoon to distribute the color evenly. 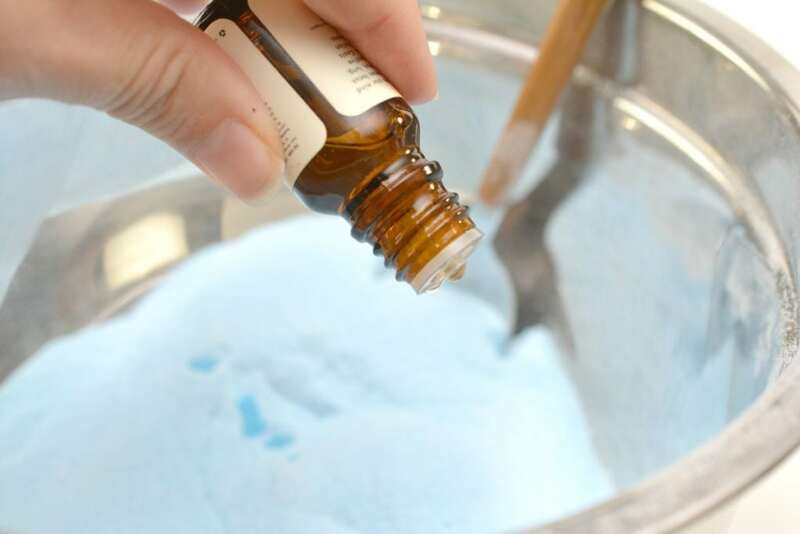 Slowly drop 20 drops of peppermint essential oil along the top of the baking soda mixture. Do not pour all 20 drops in at once, do them one at a time and distribute them throughout the surface of the mixture. If you place too much liquid in the mixture at one time, you risk setting off the chemical reaction that causes the toilet cleaning fizzies to fizz when placed into the toilet bowl. Stir the essential oil in completely, making sure to break up any clumps. Next, drop the vinegar and hydrogen peroxide mixture into the bowl with the eyedropper, one drop at a time. You likely will not need to use the entire mixture. After you have a layer of dots added, stir the mixture well. 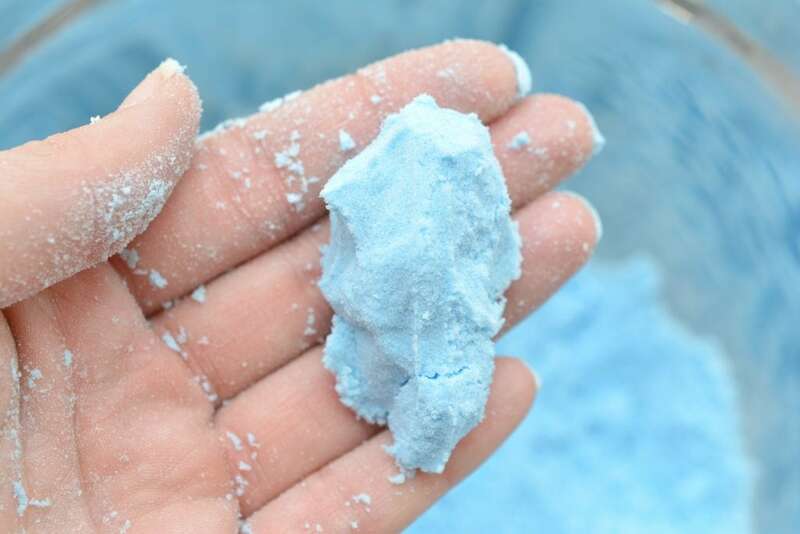 Mixing it with your hands is best, to make sure you are breaking up the clumps. Again, you do not want to add too much liquid at one time, or you will start the chemical reaction. Once the mixture has the consistency of damp sand, and stays in a loose clump when you squeeze it, then it is ready. If you accidentally make the mixture too wet, you can add in some more baking soda/citric acid mixture. To use, drop a toilet cleaning fizzy into the toilet after use, or when it needs a quick cleaning. Let it sit for several minutes and then flush, or use the toilet brush for additional cleaning power. Can you drop this in the back toilet tank? If so how many flushes will the blue color last? Kay, It’s not designed to drop in the back toilet tank. I’d think you’d find the color only lasts for one or two flushes, anyway. The product is designed to unleash a fizzy, cleaning action upon reacting with the toilet water. It’s a one time use only. Since it would dissolve immediately, I don’t think you’d find much success adding it to the back toilet tank.